Planet Earth is heating up at a dazzling pace due to human induced pollution. But as hysteria abounds surrounding what life would be like for humans on a sizzling hot planet, many ignore the ramifications our actions inflict on wildlife. The WWF, an international wildlife conservation nonprofit, released a Living Planet Report, according to which the average vertebrate population (birds, fish, mammals, amphibians) has declined 60 percent since 1970. The report adds that losses are especially severe in the tropics, “with South and Central America suffering an 89% loss compared to 1970.” Among the main culprits behind the disastrous eradication of biodiversity, the report lists climate change, habitat loss and degradation, pollution and hunting – all a direct result of human economic activity which ravages natural resources. Some of the most disturbing data compiled by WWF refers to the extinction of freshwater vertebrate species populations, such as freshwater fish and frogs, which have experienced a frightening 86 percent decline since 1970. Overfishing and pollution of oceans are cited in the report as the main causes behind the destruction of freshwater biodiversity. Meanwhile, deforestation, overexploitation, excessive agriculture and pollution of the air and soil are wreaking havoc on the land. Countless animal and insect species have been eradicated thus far due to the destruction of their natural habitats and ever rising temperatures. Climate change, particularly, induces untimely migration of animal populations, which often results in overcrowding of certain areas by what is referred to as ‘invading species’, this, in turn, contributes to the decline of populations native to those areas. The recent findings published by WWF indicate that humans can no longer afford to ignore the devastation their economic activities and excessive consumption habits exert on the natural world. We can no longer view pollution, climate change, deforestation and wildlife extinction as a set of separate issues, as they are all inextricably linked and are all a direct result of our reckless disregard for nature. According to WWF, only a quarter of the planet is currently not being exploited by human activity. Unless we change our conduct, this figure will decline to 10 percent by 2050. As recommended by WWF, change must be comprised of both global action (stringent policies and intergovernmental agreements and accords) as well as efforts on the personal level of people to educate themselves about the topic, mitigate their consumption habits and take concrete steps to reduce their footprint. 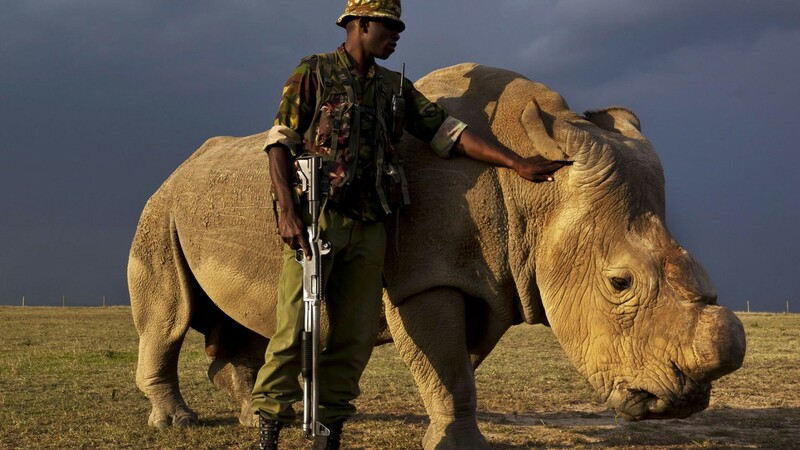 FAIRPLANET has been publishing the developing story „Saving Rhino“ – a comprehensive case about extinction and conservation of this endangered species.